Poll: What printables would you like to see more of in the future? Please help out by contributing your vote in the following poll: What printables would you like to see more of in the future here at colorinmypiano.com? As always, feel free to leave comments — let us know which printables available now are your favorite! Exciting news: you can now follow the Color In My Piano blog via Facebook! Click the new button on the left, Find Us On Facebook, to view our page on Facebook. Become a fan and receive blog updates right in your Facebook news feed! In addition, now when you leave comments on posts at colorinmypiano.com, you can leave them using your facebook account. 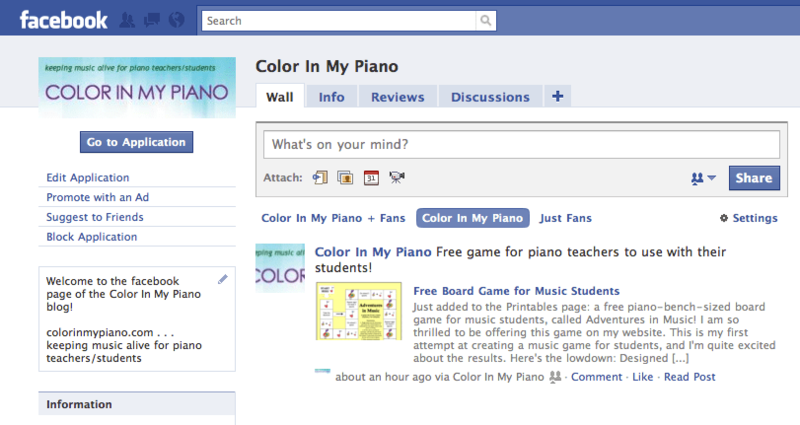 Colorinmypiano.com will even display your current facebook avatar (photo) beside your comment. What fun! The Links page here at colorinmypiano.com has been updated! I’ve created a new category devoted to sites with free sheet music, preferably for piano. Do you have a favorite site where you print free sheet music? Please let us know and I’ll add it to the list! Just added to the Printables page: a free piano-bench-sized board game for music students, called “Adventures in Music”! I am so thrilled to be offering this game on my website. This is my first attempt at creating a music game for students, and I’m quite excited about the results. 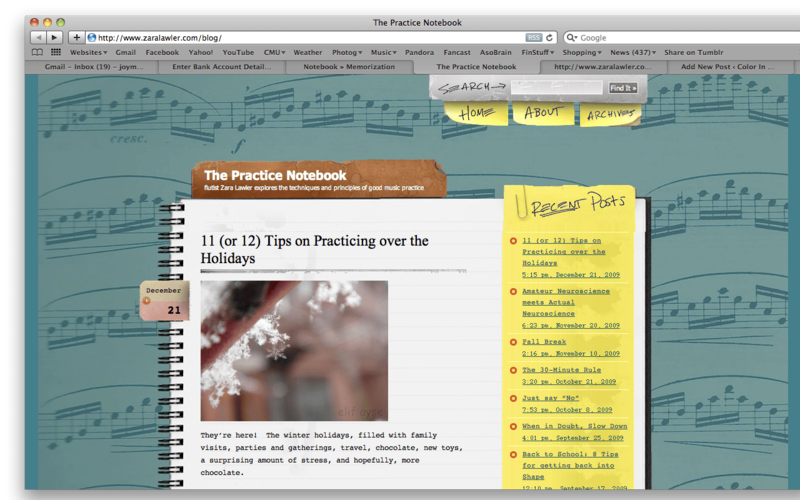 At the musicmotivationblog.com, there are a variety of free resources available for teachers and students. Particularly, there are pdfs of pentascales, chords, chord progressions, scales, etc. in every key. New resources are added daily, so be sure to visit regularly. To check the listing of free resources, click here! 1. Posture: keep your chest open. I’ve been told to sit up straight of course, and I’ve even been told not to sit too straight (a common problem among slender pianists, especially female). I’ve also been told to keep my shoulders down and relaxed, which is something I struggle with. Tension in the shoulders, can affect the arms and wrists negatively.